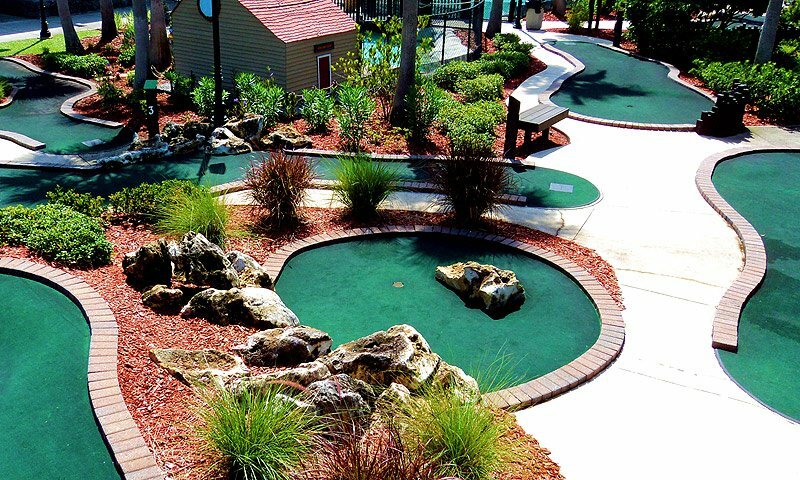 Adventure Landing provides an array of activities for kids of all ages, featuring mini golf, a go-kart track, batting cages, and over 70 interactive arcade games. 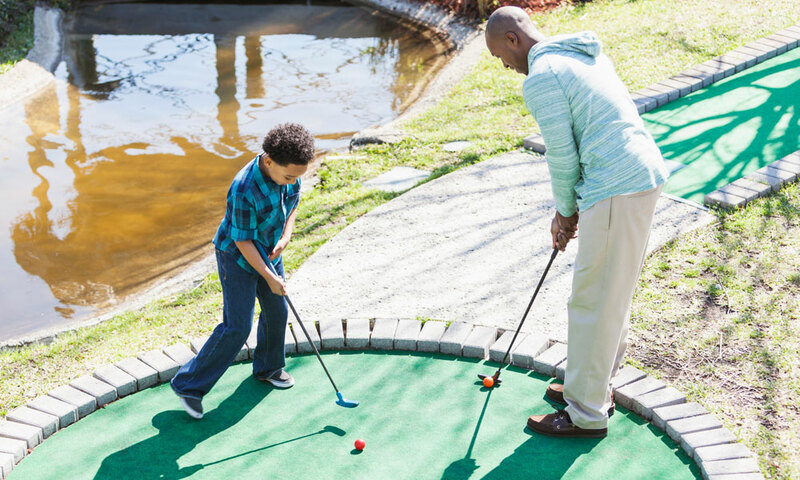 The park's 18-hole miniature golf course challenges players with tunnels, waterfalls, and hills to putt through and over, while the quarter-mile go-kart track puts visitors' driving skills to the test. Drivers must be 56" tall to drive a single kart alone. 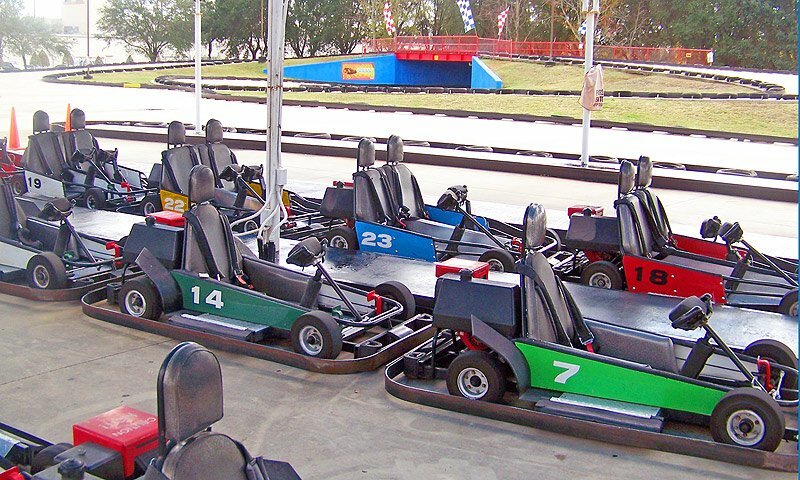 Smaller children may be a passenger in a double kart, as long as they are at least 3 years old and 36" tall with a licensed driver. Children at least three years old and between 36" and 48" tall may drive themselves on a separate kiddie track. With seven batting cages, Adventure Landing provides one of the largest batting cage facilities in the area. Equipment is provided, or players may bring their own -- however, a helmet with a facemask is required in all cages. The cages have multiple pitching machines that pitch different speeds for both baseball and softball. Adventure Landing's cages are open daily and are available for team rentals. 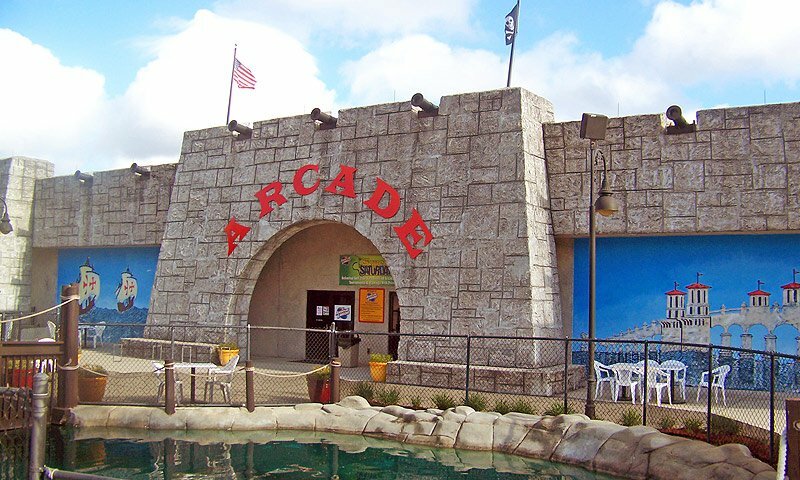 Over 70 interactive arcade and ticket redemption games are available at Adventure Landing's mega-arcade, with something for every type of player, from toddler to adult. 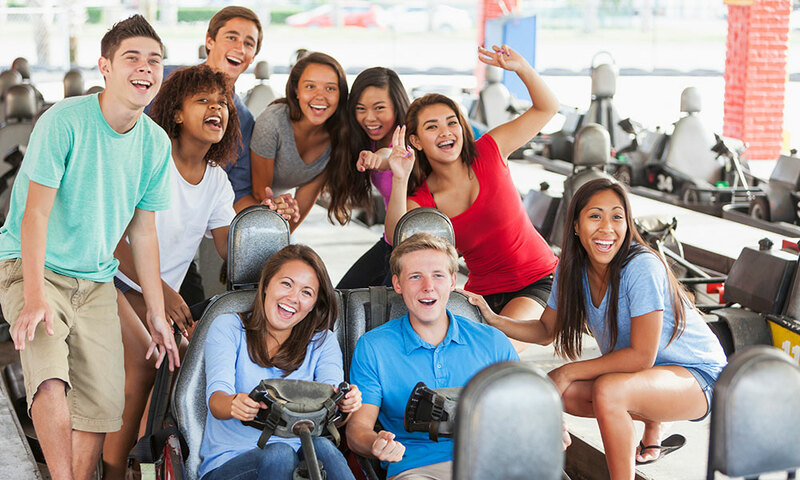 Guests can drive, blast, and dance their way around the arcade, and earn tickets to choose a great prize at the redemption center. Located at 2780 State Road 16 in St. Augustine, Adventure Landing is open Monday through Thursday from 11 a.m. to 10 p.m., Friday from 11 a.m. to 11 p.m., Saturday from 10 a.m. - 11 p.m., and Sunday from 10 a.m. - 10 p.m. Go-Kart hours of operation are Monday through Thursday from 2 to 9 p.m., Friday from 2 to 11 p.m., Saturday from 10 a.m. to 11 p.m., and Sunday from 10 a.m. to 9 p.m.
Great Place for a Party!!! 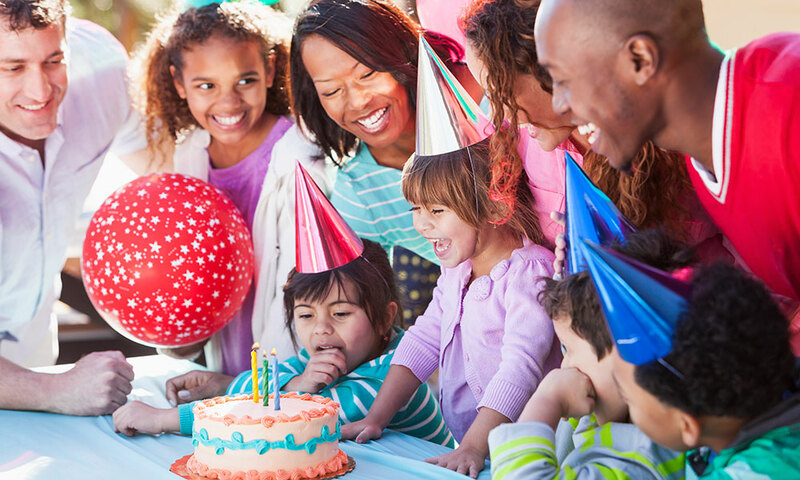 Just had a party for my six year old twins there and they had a blast on the kiddie go-carts and playing arcade games. Food was good and hostess was great! Golf course gets crowded so didn't play, but everything else made up for it.